There has been a church here since the late 12th century. The present building dates from 1882-1884, although the west tower is 15th century. The church is Victorian Gothic in style, and almost as wide as it is long. It has a high wood-beamed ceiling and large stained glass windows on all sides. A major restoration was begun at the turn of the millennium. Their website describes them as "an inclusive community, celebrating the ministry of both men and women, while worshipping firmly in the tradition of Catholic revival in the Church of England that began in the 19th century ... We use modern services and readings with traditional music and ceremonial." They have a book group, a play group for preschoolers, and a Scout group. There is a said eucharist and parish mass each Sunday. Children's church is held separately during the parish mass. "Conversational evensong" is held one Sunday each month, in which guest officiants (again quoting from their website) "are invited to St Nicholas and asked to choose a piece of music, a reading and a favourite object and explain why they have chosen them. They also share with us something of their faith journey." Chiswick is a district of West London that features a mixture of Georgian, Victorian and Edwardian housing as well as retail, restaurants, food outlets, and office and hotel space. Chiswick is home to the Griffin Brewery, where beer has been brewed since the 17th century. Alexander Pope and William Butler Yeats lived in Chiswick at one time or another. 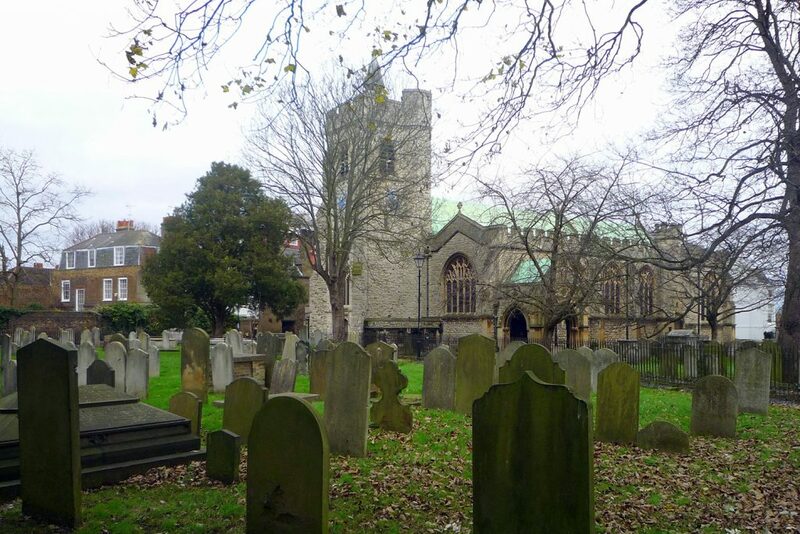 The parish also has a strong local link, historically, with Oliver Cromwell via his daughter, Countess Fauconberg, who lived in Chiswick as well. 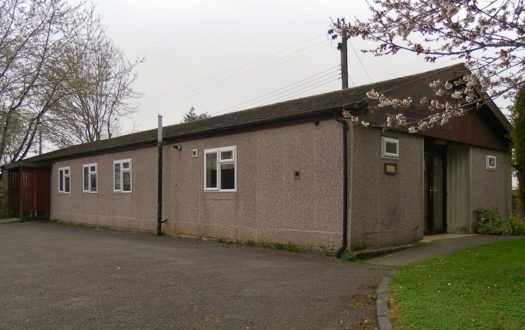 The church is located in an idyllic backwater close to the very busy Hogarth Roundabout. I couldnt find directions on their website  Google Maps sends you down quite an isolated alley. The rota listed the Revd Alan Trigle, curate, as presiding and preaching. The service leaflet, however, listed the vicar, the Revd Simon Brandes. Judging by their website photos, it was the former. 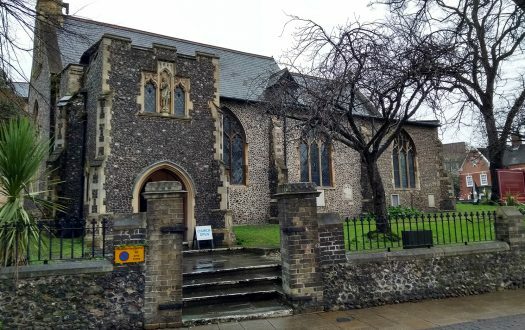 He was assisted by Malcolm Smith, master of ceremonies; Lu Brown and Tony Smith, acolytes; Paul Cook, thurifer; and William Wates and Alex Smith, readers. Two welcomers broke from animated conversation to say, "Morning, morning" as they pushed hymn book and sheet across. A woman in the second pew gave me a warm smile. The priest said a warm "Good morning." Comfortable pew with runner to sit on. Hassocks were available. This is a punctual congregation, arriving ten minutes before service. About three knots of people chatted noisily. New English Hymnal; pamphlet printed for the day. One of the acolytes wore garish blue trainers beneath the clerical garb. On the high side: incense, tinkling bells, crossing oneself  but relaxed. One woman clapped the sermon. 7 – The curate's style was engaging and he projected well, but he seemed a bit concrete for my taste. Unless you are familiar with this preacher and his range of beliefs, this essay was too dense to take in at one hearing. He began well, with reference to wife's aunt, who as a Suffragette burned down the Kew Gardens tea house. This segued neatly into processions today and the recent installation of a female Bishop of London. Then he moved into an essay on the first reading, Genesis 3:9-15 (the aftermath of Adam and Eve having tasted forbidden fruit), which sounded quite feminist but referred to "a woman and a man" in a manner that suggested impatience with inclusiveness. He also took a swipe at Church leadership, which went over my head. A reader from the congregation: "But the Lord God called to the man, and said to him, 'Where are you?'"  made God sound wonderfully querulous. The motet was just too challenging for the small choir, and the first two hymns were dirge-like. Thank goodness for the postlude, a Vivaldi piece arranged by Bach. Their regular organist was out today, so a visiting organist stepped in to fill the void. I felt obliged to interview the woman who clapped (she offered sound scriptural reasons). The rota listed Rafaella Newman as being in charge of the coffee. She (or whoever the woman was who kindly gave me coffee) addressed me somewhat challengingly: "Can I help you?" Otherwise people were busy, but the organist stopped outside for a lovely chat. Nice filter coffee in a Harrods mug, with a ginger nut. The poshness of the mug amused me. 6 – I prefer a worship service that allows for some intervals of contemplative silence. I thought today's service felt a bit too cosy and settled. 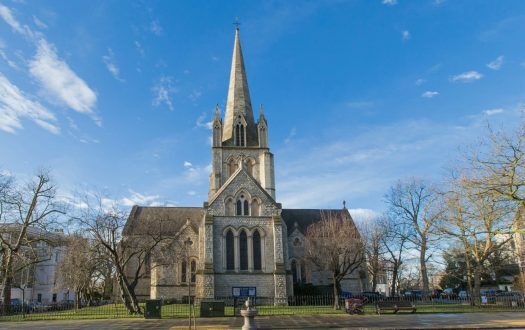 I have only just found a church that suits me – and in central London, which I prefer. In a lukewarm sort of way.